Shortly after buying one of the nation’s largest dealership chains, GEICO parent company Berkshire Hathaway will buy 10 percent of Axalta Coating Systems from Service King minority stakeholder Carlyle Group. 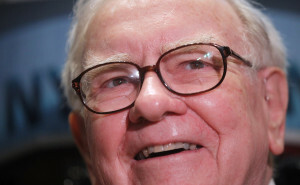 The deal announced by Axalta Tuesday will entail Berkshire, which is co-owned by famous investor Chairman Warren Buffett, paying $560 million for the stake. Axalta won’t make any money off the deal, it says. It’s unclear from the news release if it or a third party is selling the block of shares at the $28 price — it’s a private placement deal. However, Berkshire won’t sell the shares for 90 days after the deal is done, and Axalta will give Berkshire “certain registration rights” after that time.